Stax records were issued in the UK on a multitude of different labels until they finally got their own imprint in 1967. 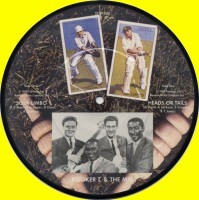 Sample label scans can be seen in the UK Singles section, starting with the early '60s London Atlantic series and going through the black and then red Atlantic issues. The first few Stax issues were on a dark blue label but this soon changed to be closer to the colour of the American originals. After the split with Atlantic, a yellow label was used for new Stax issues with older material (owned by Atlantic) being put out on their red label. A few of the last issues used the final purple label. 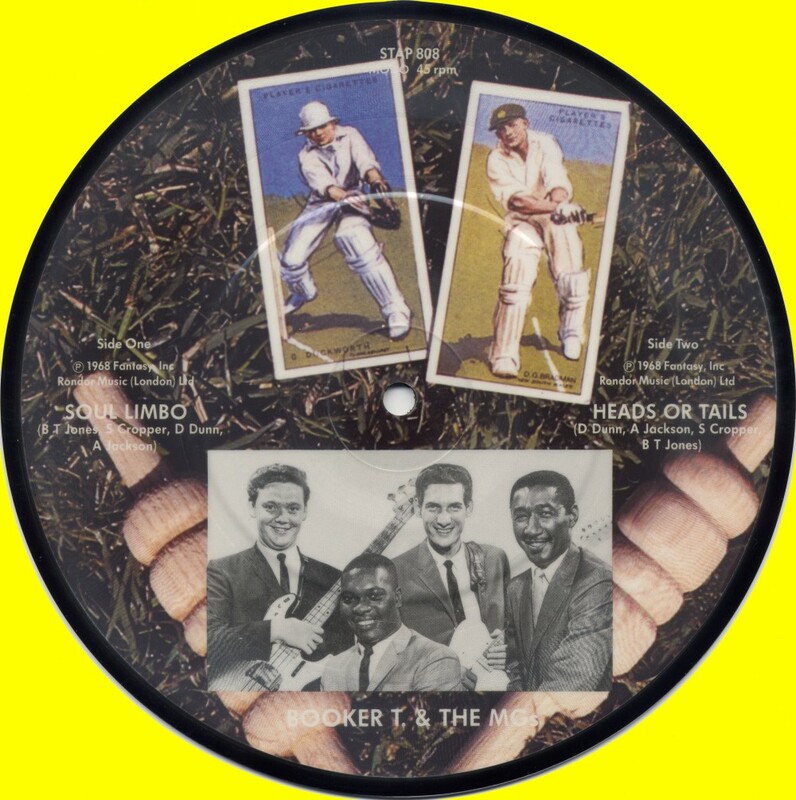 There have been numerous re-issues in various colours from both Stax and Atlantic. Perhaps the most interesting is the picture disc that was part of a box set from 1987. 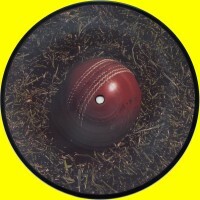 UK BBC radio has used 'Soul Limbo' as the theme tune for it's programmes about cricket (a truly British disease) for many years. The connection being its West Indian flavour as matches between the two counties are always followed avidly by both sets of supporters.